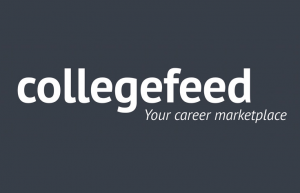 Collegefeed, a service for placing top talent from the pool of recent college graduates, has announced the release of Collegefeed for Employers to help U.S. businesses connect with college talent. The service currently counts more than 500 companies as members and delivers curated feeds of matches to businesses of all sizes. As a social network, Collegefeed is dedicated to helping college students and college graduates get hired and now boasts students from over 1,200 schools and several hundred employers. Employers specify their desired candidate with Collegefeed, which then combs through the tens of thousands of users to find the most qualified applicants. The highest-quality, most relevant matches are then delivered via email. Collegefeed is appropriate for large companies hiring en masse, venture capital firms and their startups, and small- and-medium-sized businesses. For businesses of all sizes, Collegefeed reduces the time and labor costs of the hiring process through automatically culling thousands of resumes and granting direct access to recent and soon-to-be college graduates who match a company’s exact needs.